Bút Tháp Temple (Vietnamese: Chùa Bút Tháp, hán tự: 寧福寺) is a Buddhist temple located near the dyke of the Đuống River, Thuận Thành District, Bắc Ninh Province, Vietnam. The temple is also popularly called Nhan Thap Temple. The temple houses the biggest Avalokiteśvara statue with one thousand eyes and a thousand arms. 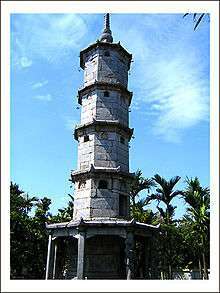 But Thap Temple is one of the most famous pagodas in Viet Nam. Inside, there are various valuable ancient objects and statues, which are considered to be Vietnamese masterpieces of 17th-century wood carving. 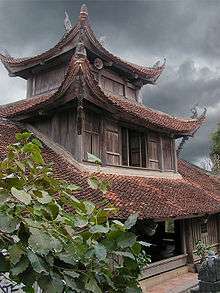 During the same time the temple had become famous for the venerable abbot and Zen master Chuyet Chuyet ("thiền sư Thích Chuyết Chuyết") 1590 - 1644. Wikimedia Commons has media related to Chùa Bút Tháp.